Earlier this month, International Bath & Tile had the pleasure of being invited to Bridgeport, CT to visit AKDO’s newly revamped showroom. 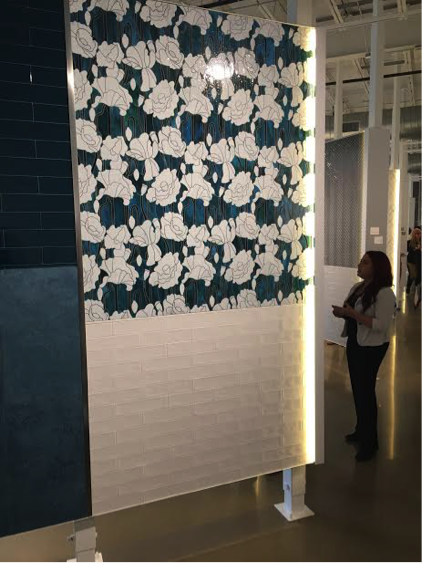 During the Partner Appreciation Event, we were among the who’s who in the tile and design industry. 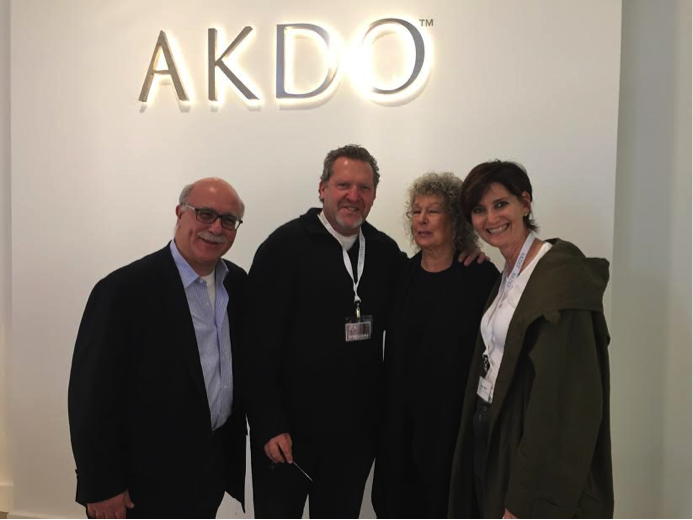 Along with the company’s top distributors, we met and mingled with AKDO’s founder Hakki Akbulak, designers Matthew Quinn and Clodagh, and world famous architect Francisco Gonzalez-Pulido. Not only did the event prove that AKDO is aligning themselves with world famous architects and designers to produce products for the brand’s label, but it also showed that they are creating a global brand that can be utilized in all types of projects—from commercial to residential. A big part of the event was taking a look at the beautiful new showroom. The warehouse was actually more of an art gallery—so clean, thought out, and refined. 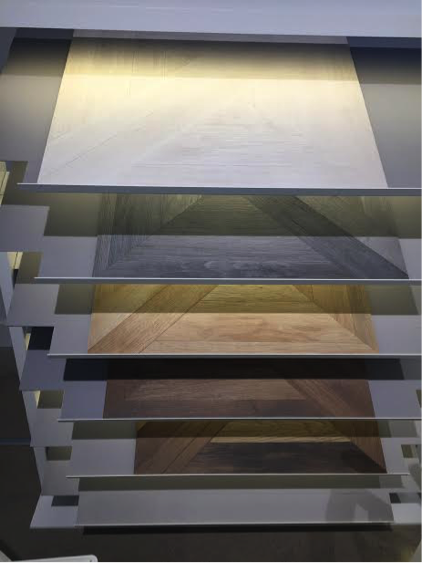 The display pieces were thoughtfully laid out as if the concept boards were works of art themselves, which really elevated AKDO’s wonderful new products. 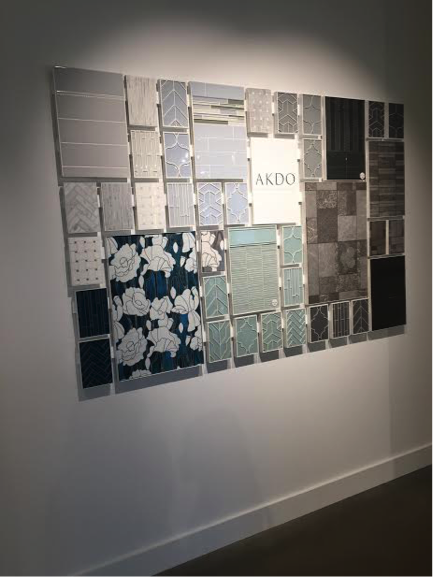 Based on the care and consideration AKDO put into their new showroom, and the detail that goes into every product, it’s clear that they are a very proud organization. From Hakki Akbulak—who is extremely hands-on with the entire manufacturing process—down to their sales representatives and warehouse employees, there’s so much pride in their product and brand. And we’re proud to have a meaningful partnership with them. We have confidence in their product and brand, and in turn, they are deeply and personally invested in our own growth and development. We’ve had a long-standing relationship as one of their top distributors in the country, and it’s amazing to partner with a company that maintains such a level of quality and consistency with both their products and customer service. We know that when we sell an AKDO product, our clients are going to receive exactly what they order. 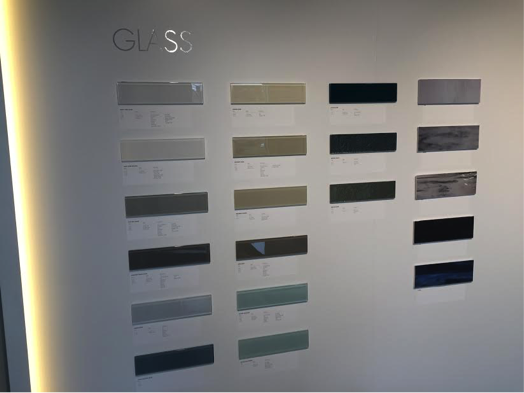 The color, quality, and consistency of the product are going to be the same as the samples AKDO displays in their new showroom, and what we show in ours. What’s spectacular about AKDO’s product range is that it includes marble, glass, and porcelain. The designs, materials, sizes, and shapes—like octagons or rectangular subway tiles—run the gamut. 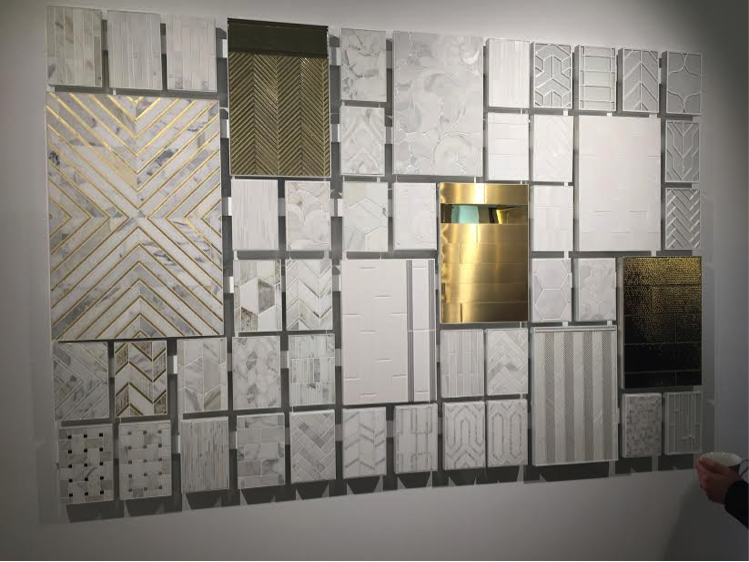 And their products cover a wide range of price points; you can get something basic and well priced, or choose from more expensive pieces that are designed with gold leaf, silver leaf, and inlays of marble and gold. 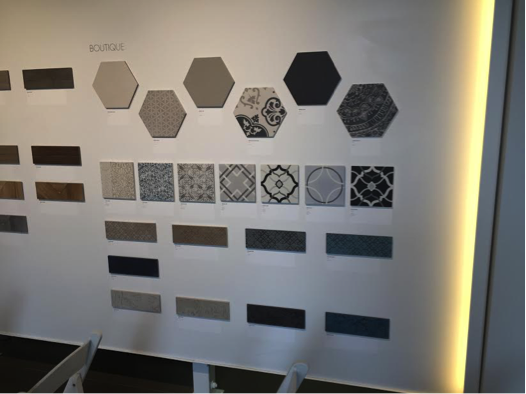 As evidenced by the concept boards in AKDO’s showroom, the tiles can all be interchanged and combined to create hundreds of unique looks. The soothing, spa-like color palette can be used in virtually any space, and the tiles are available in both matte and glossy finishes to create even more dimension. While AKDO tiles are manufactured, the company is very conscientious of quality control. The coloring and patterns are consistent, there is no warping, and the overall quality of the AKDO brand is much higher than you would expect from a factory-made product. For instance, if you order 100 square feet of Carrara marble, you can count on the coloring and texture of the stone to remain consistent throughout every piece. After attending AKDO’s Partner Appreciation event, we’re even more excited to be representing the company. They are creating a brand name for themselves that spans global tastes. Our clients can be proud to have an AKDO product in their home. 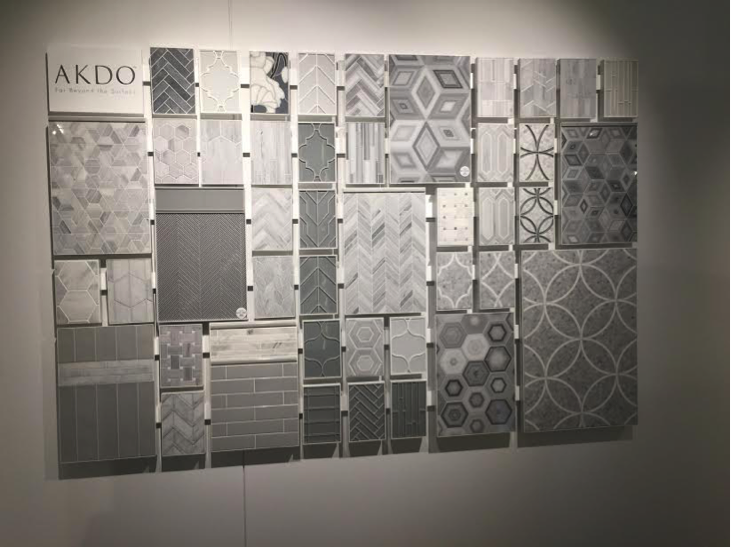 We invite you to come to our IBT showrooms in Solano Beach and Kearny Mesa to see the latest products and designs from AKDO. We carry on the company’s pride and emphasis on customer service to provide our own clients with the best experience, products, and prices. Visit our showrooms today to get started on creating your dream space.